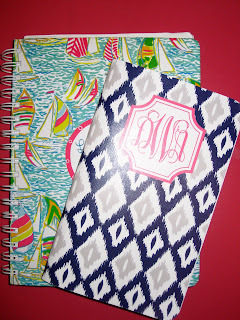 As many of you already know, I love school supplies and love them even more when they are cute! Back to School Basics ringing a bell? Well here is where my new favorite place to purchase notebooks comes into play! Enter May Books! 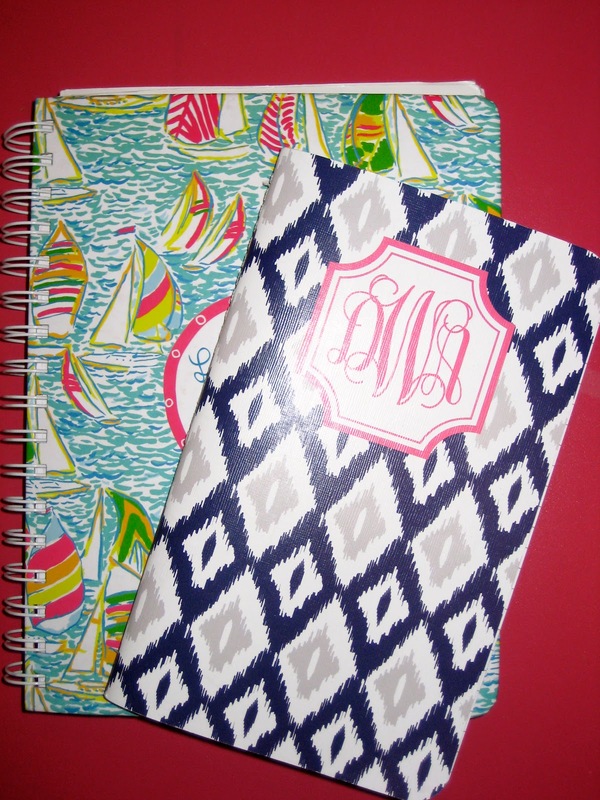 May Books allows you to completely customize notebooks, planners, calendars, and meal planners! How great is it that you won't ever get your notebook confused with other peoples because of their personalization options! 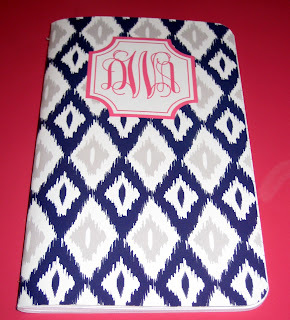 This is the navy ikat pattern with my monogram in pink. I chose the lined pages and love the way it turned out. The cover is durable and the notebooks are eco-friendly! 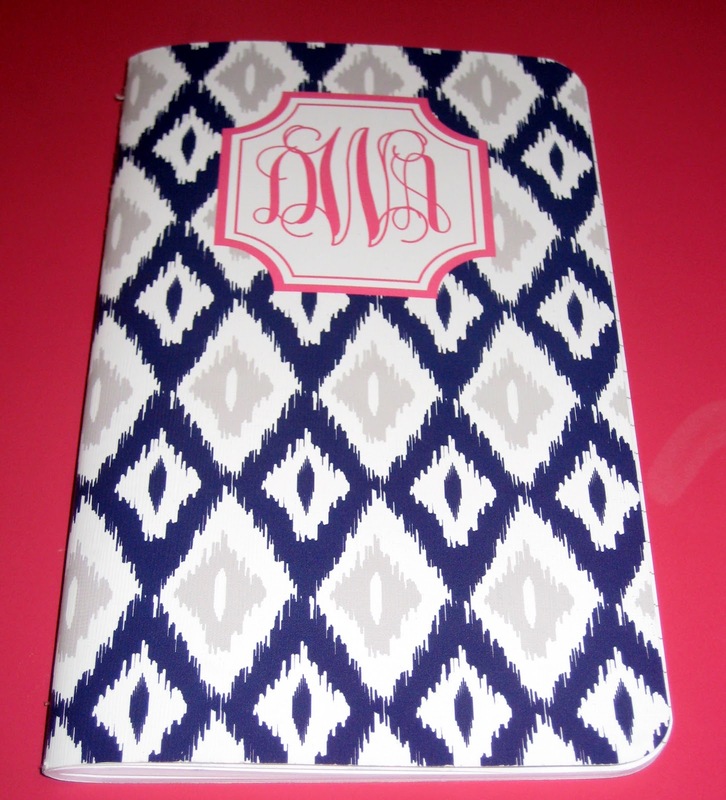 I find myself on the site far too often designing different notebooks and adding them to my overflowing cart! Now that you've seen several of my designs I hope you are just as excited to design your own! Maybooks has been kind enough to allow me to give away a notebook to one of you!